You may get the GCash App by downloading it free from App Store, Google Play, Blackberry App World, or the Window Store. a. 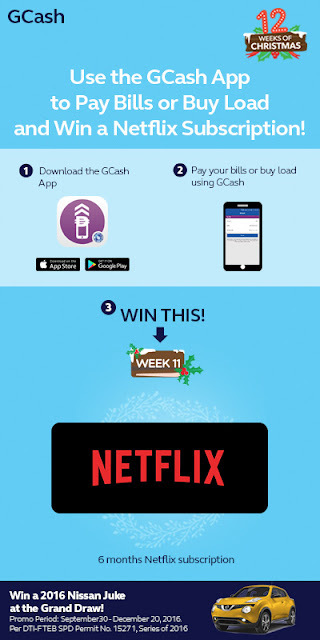 Every week leading to Christmas, we will be giving out gifts to our GCash customers as they accomplish certain GCash tasks. To qualify for the December 9 – December 15 promo, a GCash customer must successfully use the GCash App to pay bills or buy load to earn one (1) raffle entry. This week’s raffle draw is on December 16.